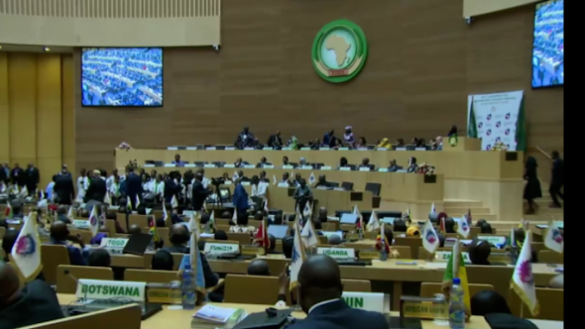 African leaders on Sunday agreed on measures compelling member states to pay their dues to reinforce the union’s financial autonomy from its donors and development partners. The 11th extraordinary summit of the AU, held over the weekend in Addis Ababa, aimed at advancing the institutional reform of the union. The meeting was seen as a last-ditch attempt to push through reforms that have been mulled for nearly two years. The reforms cover multiple aspects, including self-financing. It also introduced trimmed institutional structures within the African Union Commission, including cutting the number of commissioners from eight to six. Speaking at a press conference Sunday at the conclusion of the two-day summit, Moussa Faki, the AU commission’s chair, said so far only 50 percent of the amount expected from member state’s contributions is received. The African leaders have decided a battery of sanctions, including the suspension of states that do not make their annual financial contributions from membership, he said. “The first duty of a member state is to make its contribution,” Faki insisted. 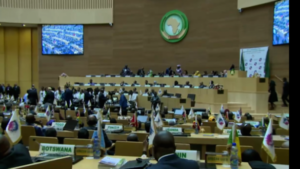 During the 31st Ordinary Session of the AU Summit in Nouakchott, Mauritania, in July this year, the continental bloc approved a budget of $681.5 million for financial year 2019. The budget, excluding the peace-support operations, expects member states’ contribution to reach 66 percent while 34 percent is projected to be secured from the development partners. Posted by Steven Addamah on November 19, 2018. Filed under Zoom. You can follow any responses to this entry through the RSS 2.0. Both comments and pings are currently closed.